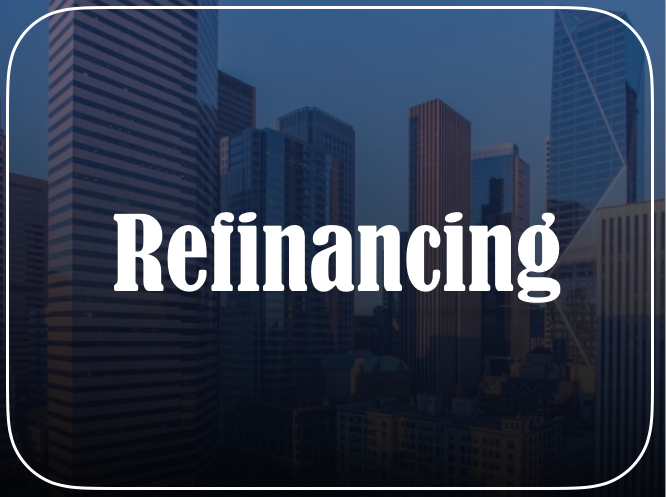 Refinancing gives a homeowner the opportunity to replace an existing mortgage loan for a new one. In addition to less paper work required, refinancing closes more quickly than a mortgage loan purchase. Through this option, the homeowner can reduce her monthly mortgage payment. Refinancing also gives the borrower the option to cash out for home improvements or debt consolidations. Sometimes, the borrower also refinances to cancel a mortgage insurance premium. The homeowner herself can customize the details of a new mortgage. For example, she can choose the new loan’s mortgage rate, nature of the interest rate (fixed-rate or adjustable-rate), loan length in years, mortgage closing costs, and amount borrowed. What are the different mortgage refinances? Cash-in refinancing allows the homeowner to bring cash to closing in order to pay down the loan balance and amount owed to the bank. It is an attractive option because it gives homeowners access to lower mortgage rates. These lower mortgage rates are only available at lower loan-to-values (LTV) (mortgage divided by the appraised property value). In addition, it enables the homeowner to cancel mortgage insurance premium (MIP) payments. Cash-in refinancing may result in shorter loan terms, lower mortgage rates, and even both. Cash-out refinancing enables the loan balance of the new mortgage to exceed the original balance by five percent or more. The borrower, then, receives the difference between the two loan amounts in cash. Cash-out refinancing gives the homeowner the opportunity to turn her equity into cash. If the owner does not meet the minimum credit score, she may not be able to receive this refinance. Other limits are if the owner has owned the home for less than a year, she may not be able to receive the option of a cash-out refinance. Also, the owner has to have a LTV of a maximum of around 85 percent to qualify. The principal balance of the rate-and-term refinance stays stable; it is not disbursed to the borrower. The interest rate and mortgage term, on the other hand, gets adjusted however. Thus, rate-and-term refinancing is for homeowners looking to decrease their interest rates on payments or the mortgage overall. In addition, it is also for homeowners looking to pay off their mortgage before a certain date. Debt-consolidation refinance allows the borrower to pay off other debts. For example, the consumer can roll several unsecured debts such as personal loans, credit card loans, or medical bills, into one single bill to pay off with a loan. She has the option to transfer debt to a zero or low interest credit card, applying for a home equity loan or paying back her debt through a debt repayment plan, and taking out a debt consolidation loan. Overall, the consumer should strive to keep the total cost as low as possible and pay off this new loan as soon as possible. When it comes to refinancing in properties, 3CALoan has several options available to suit the homeowner’s needs. The homeowner can customize the details of the new mortgage. She can choose the new loan’s mortgage rate, loan term, closing cost, and amount borrowed. Thereby, she is enabled to spend less on interest and fees to turn a bigger profit from her investment in a property. With this profit, she can pay off her home faster, fund home improvements, or use the home equity to pay her credit cards. Furthermore, she can change the mortgage loan terms if she is not satisfied with her mortgage choices.